Earlier this week, the Federal Government released a proposed new fee structure for foreign investors and it has been met with strong criticism from key property development industry groups and lobbyists. The fees, imposed by the Australian Tax Office (ATO) will include a $5,000 application fee for property purchases that fall under the $1 million bracket and the fee will increase to $10,000 for each additional $1 million spent. These fees are expected to collect approximately $200 million each year in tax. 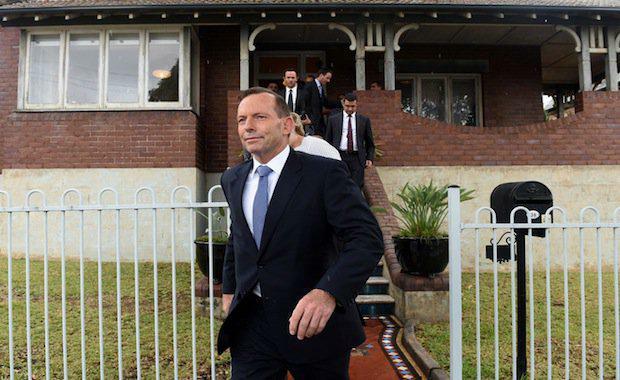 Prime Minister Tony Abbott announced the regime at a Sydney press conference after concerns were raised regarding the ability of Australian residents to secure property against foreign investors. “While foreign investment is integral to Australia’s economy, it’s important to uphold the integrity of the framework and ensure that foreign investment is not contrary to our national interest,” Mr Abbott said. However, industry experts have come out in force against the proposed fees, most prominently Grant Thornton and The Urban Development Institute of Australia. Global Head of Real Estate and Construction for Grant Thornton, Sian Sinclair, believes that these fees will provide a strong disincentive for those looking to invest in Australian property, which will stifle market activity. “The fees represent another upfront cost that can deter a significant portion of key investors and in many cases, send them to invest in other shores. We're seeing with our clients, those marketing their products to offshore investors are worried about how they sell the additional charge along with threat of significant penalties, when they invest in Australian product,” Ms Sinclair said. “At the top end of town the incremental increase in fees for higher value purchases being negotiated, could be the breaking point of a invest or not decision. Co-founder of property portal Juwai, Simon Henry, told The Australian that the fees would negatively affect Melbourne and Sydney where foreign investment was prevalent, and would influence the investors into other capital cities where many sales are privately conducted. In addition to placing pressure on Australian developers, the scheme is being pinpointed as a potential cause of a decline in foreign investment, which may stall the market. “Requiring a fee to be paid upon application, even if you don't succeed at buying the property, is certain to turn foreign buyers off. The only countries that charge foreign investor fees are those that are trying to reduce foreign investment," Mr Henry said. Overall, the consensus among industry professionals is that some form of fee is necessary to assist with costs, however the proposed fee is simply too high. President of the Urban Development Institute of Australia, Cameron Shephard, holds this view. "Whilst a modest administration fee may be appropriate to help the government cover costs, the fees proposed in the discussion paper are clearly excessive, and if implemented would really just constitute a new tax," Mr Shephard said. Other industry professionals such as Aussie Home Real Estate investment specialist, Jun Lu, believes that the fees will not achieve the desired outcome to maintain affordable property prices and most likely will not prevent foreign investment. “… It will send a bad signal to the world, particularly China. It’s saying Australia is not welcoming to investors,” Ms Lu said.